Second year rookie Ben Simmons has played just 4 games but he is already making splashes throughout the NBA. He is averaging 21 points a game, nearly 11 rebounds and is dropping dimes left and right with 7 assists a game. What is even better is that he recorded his first triple-double on Monday night with 21 points, 12 rebounds and 10 assists which makes him the third player to have a triple-double in his 4th game in 50 years, the others being Oscar Robertson and Hambone Williams.
.@BenSimmons25 records his first triple-double and his fourth-straight double-double! Simmons was the first overall pick in the 2016 NBA draft out of LSU, but missed all of last season with a broken foot. He played one season at LSU and played 33 games, while averaging 19 points a game and shot 56% from the field. One of the areas of improvement for Simmons is his free throw shooting, which is only 61%. The 76ers won their first game on Monday against the Detroit Pistons and while the 76ers haven’t necessarily impressed NBA fans, but Simmons early performance should be reason for optimism in Philadelphia. He is a 6’10 point guard who is only 21. One of the biggest advantages of being a 6’10 point guard is his ability to see over defenders in the half court and is able to alter the half court and open lanes for his teammates. What should scare other teams is his ability to score just by being big. Adding to that, the pick and roll game with Joel Embiid and that should scare opponents big time, which makes the potential greatness of this combination almost limitless. One of the early impressions that I like about Simmons is that while he appreciates what he is doing on the court, he seems to be more about the team’s success. “It’s awesome to have a triple-double, but at the same time, it’s even better to have a win,” Simmons said. “We played the right way.” Some are so optimistic that with Simmons, Markelle Fultz and Embiid that the 76ers could squeeze out a playoff spot this year. The Eastern Conference is not that strong as some of the best talent have taken their talents to the Western Conference. Simmons is the early favorite to win rookie of the year award and whatever questions surrounded him at LSU, not many doubted the talent of this phenom from Australia. Considering he just turned 21 this summer, people are noting that he is playing the game with patience and playing aggressively at the right times and getting almost anything he wants. One of the keys to his success will be the ability to stay healthy. If he can stay healthy on a consistent basis, Ben Simmons will prove as an elite point guard for years to come. After the 76ers first game, Simmons put his experience into perspective. “It felt like I was playing [NBA]2K honestly,” the aforementioned 6’10” point guard, told reporters after the game in Washington last Wednesday. “Just looking at [Joel] Embiid out there with the lights on his jersey. I was like, ‘Man, I’m actually here.’ It’s fun. I’m enjoying it. Lot of games left.” NBA fans should be so excited about this man’s potential plus it seems as if he is not putting too much pressure on himself and just enjoying the moment. Furthermore, if you look at some pictures of him on social media, you will get that same impression. 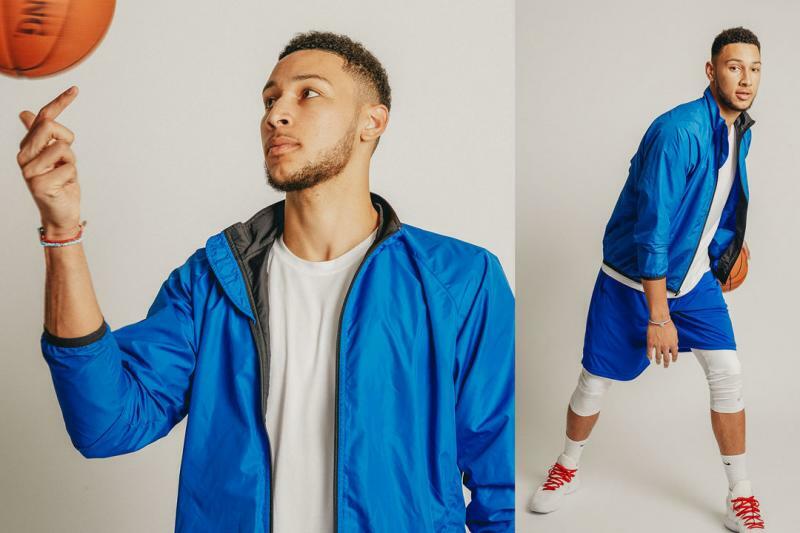 I’m not going to predict whether the 76ers will make the playoffs this season, but this should be an exciting season for the 76ers and Ben Simmons will be an integral part of it.